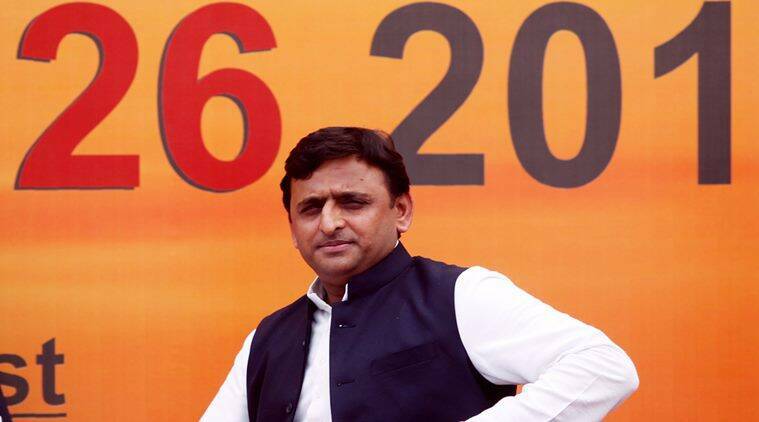 Uttar Pradesh Chief Minister Akhilesh Yadav can rejoice. After four years of being in power, it seems anti-incumbency sentiments among people in the state are not strong enough to dislodge his party from power. An opinion poll conducted by ABP News-Lokniti, Centre for the Study of Developing Societies (CSDS) showed Yadav’s Samajwadi Party in the front with 30 per cent support among the people if elections were held now. The poll said the Samajwadi Party was likely to get 141-151 seats followed by theBJP at 124-134 seats, the BSP 103-113 and Congress trailing far behind at 8-14 seats. The half-way mark in the state assembly is 202. Here are a number of conclusions we can draw from the other findings of the poll with necessary caveats. 1. There’s almost a year to go for the state polls so anything can happen between now and then. Looking just at the numbers, it’s pretty clear that no party has the numbers to stroll past the half-way mark and form a government. This could be one of the conclusions after the elections as all parties have strong reasons for people voting in their favour. While the previous two elections have certainly been landslide mandates for the SP and BSP, this election might actually give way to a fractured mandate. 2. The ABP poll says it’s the tough fight for the anti-incumbency vote between the BJP and the BSP that has resulted in positive trends for the ruling party. While Mayawati’s party had been reduced to zero in the 2014 parliamentary elections, it was the BJP which had been successful in shifting key electoral constituents who were otherwise loyal to the BSP. For both the parties, coming to power in UP is paramount and it’s clear they would stop at nothing to achieve that purpose. 3. Congress has no role to play in this election – that’s one of the conclusions from this poll. It’s showing the grand old party going down to its worst ever performance in Assembly elections in the state. Remember, the Congress has dwelt on a major election strategy by roping in Prashant Kishor and declaring Sheila Dikshit as its chief ministerial candidate. It also recently conducted a roadshow by its party president Sonia Gandhi in Narendra Modi’s bastion of Varanasi. But the poll indicates all that doesn’t matter to people in UP. The poll also said people were largely disinterested in whether the Congress should have handed over the reins to Priyanka Gandhi Vadra. 4. Akhilesh and Mayawati are the popular faces for the post of chief minister if this poll is to be believed. Both leaders got 24 per cent support from the respondents with Union Minister Rajnath Singh mopping up 7 per cent. In surprising results, BJP leader Varun Gandhi also got some support, indicating split popularity among voters. 5. The poll also gives some insights into how certain caste groups are rallying behind political parties. BJP’s key voting blocs in the 2014 election – Jatavs and non-Jatav Dalits are rapidly moving to support the BSP, the survey finds. The recent incidents of the flogging of a Dalit family in Gujarat for skinning a dead cow and the insensitive remarks made by a former BJP leader about Mayawati are likely to have influenced constituents on how they vote. The saffron party retains support among the upper-castes and lower OBCs. At the same time, it’s the strong support of Muslims and Yadavs that puts Samajwadi Party in the forefront. The poll was conducted among respondents between July 23rd and August 7 although the sample size is not known.